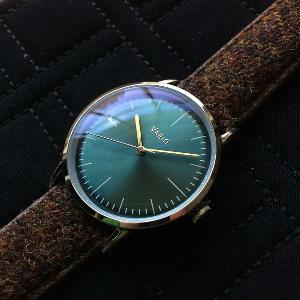 Prize: A Vario Eclipse sweping quartz watch, with an emerald green dial, Harris Tweed strap, and Seiko VH31 movement. What you must do to enter: Login/Sign to Gleam widget, visit pages to get entries. Statistics: This contest was opened by 180 and entered by 29 ContestChest.com members. 16% of those who opened the contest, entered it.